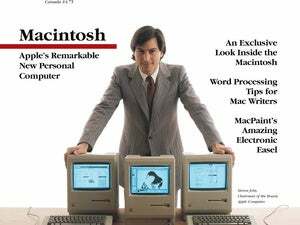 It can be overwhelming trying to process all the news that unfolds over a week in the Jacob Javits Convention Center, so Macworld presents a crash course in everything you need to know about Macworld Expo New York 2001. In a summer where movies have failed to win over crowds, the blockbuster event for Mac users -- Steve Jobs's keynote at Macworld Expo New York -- also followed that trend. Although Mac OS X garnered favorable buzz with its forthcoming OS X 10.1 update and the " Ten on X " software packages demonstrated for the crowd, the audience couldn't help but be disappointed. Among the observations: people had expected radical new hardware designs, and Apple answered only with renovated models of the Power Mac G4 tower and the iMac. The winners and losers in this summer's keynote are surprising. The good news for some: buying a very powerful computer is now very inexpensive. The 733MHz Power Mac G4, which used to be Apple's top-of-the-line processor, listed at a cool $3,499 before Expo. Now, a 733MHz G4 processor represents Apple's entry-level Power Mac and costs a mere $1,699. For fans of the iMac, Apple announced new configurations with beefed-up RAM and hard drive capacity sans a beefed-up price. Apple continued to stake out new territory in the DVD-authoring process with a preview of iDVD 2. The new version will add several features to improve iDVD's Slideshow and menu components. This wasn't the only digital-entertainment news -- several companies, among them Roxio, Strata, and Boris FX -- all demonstrated new, OS X-friendly products. For full details on what companies released what software, see the Thursday, Friday and Friday afternoon editions of the Reporters' Notebook. Apple's operating system took center stage at the keynote, and the words "OS X-compatible" became ubiquitous on the show floor: more vendors announced software that would work on OS X, including Microsoft's Windows Media Player, Intuit's Quicken, and Metrowerk's CodeWarrior 7.0. The highlight for many Mac-watchers, however, was seeing "Ten on X," a collection of companies demonstrating their OS X-compatible software during the Apple keynote: Adobe, Quark, FileMaker, and Microsoft all dazzled the audience. For full details on what companies have embraced OS X compatibility, see the Thursday, Friday and Friday afternoon editions of the Reporters' Notebook. Expo featured the usual complement of the Mac faithful and the creative marketers; Apple is opening four new retail outlets; Microsoft continued to garner favorable buzz for its second-day keynotes; and fearless Contributing Editor Andy Ihnatko offers not one, but two, takes on what Macworld Expo New York was really about.